Israel halts Palestinian tax transfer | It's Only Natural To Resist. Move aims at punishing Palestinians over their successful bid for upgraded UN status. Israel is halting the transfer of tax and tariff money it collects for the Palestinian Authority (PA) in response to their successful bid for UN non-member observer state status. Finance Minister Yuval Steinitz said on Sunday that the government would use the money it was to transfer to the Palestinians to pay down their debt to the Israel Electric Corporation and other Israeli bodies. “I have no intention of transferring the taxes due to the Palestinian Authority this month. They will be used to pay the PA debts to the Israeli electricity company and other bodies,” Steinitz said. The move is the second act of reprisal by Israel. On Friday, it announced it would press ahead with plans to build thousands of settler homes. Ahead of the UN vote, Israel’s government had warned the Palestinians and the international community that it would react harshly to upgraded status for the Palestinians, accusing them of leapfrogging negotiations and disregarding peace accords. The Palestinians say the upgraded status does not contradict any effort for new talks, pointing out that negotiations have been on hold since late September 2010. Israel’s Haaretz newspaper said a total of 460 million shekels ($120 million) would be withheld from the Palestinians. Every month, Israel transfers tens of millions of dollars in customs duties levied on goods destined for Palestinian markets that transit through Israeli ports. Without the transfer, the PA will not have the money to pay government salaries. The tax revenue constitutes a large percentage of the Palestinian budget and are governed by the 1994 Paris Protocols with the Palestinians. Israel has frozen payments to the PA before, usually during times of diplomatic tensions. The UN victory for the Palestinians was a diplomatic setback for Israel, which was joined by only a handful of countries in voting against upgrading the Palestinians’ observer status at the UN to “non-member state”, like the Vatican, from “entity”. 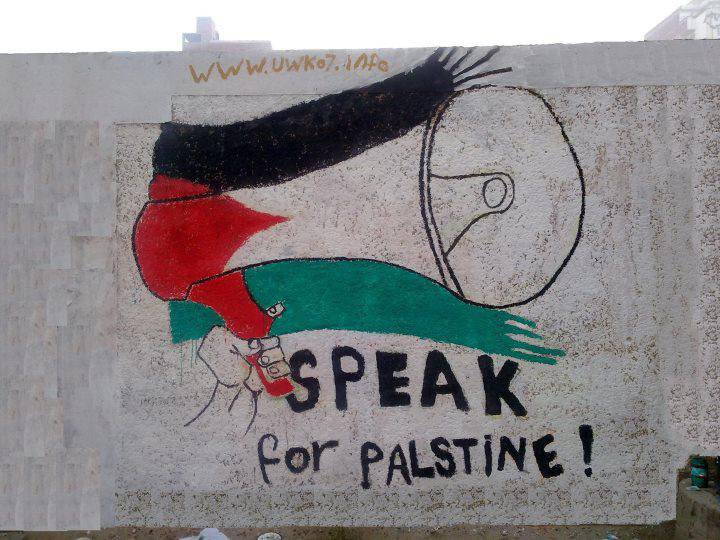 This entry was posted on December 2, 2012 by ispeak4palestine. It was filed under Articles on Palestine and was tagged with Israel, Middle East, Palestine, Politics.